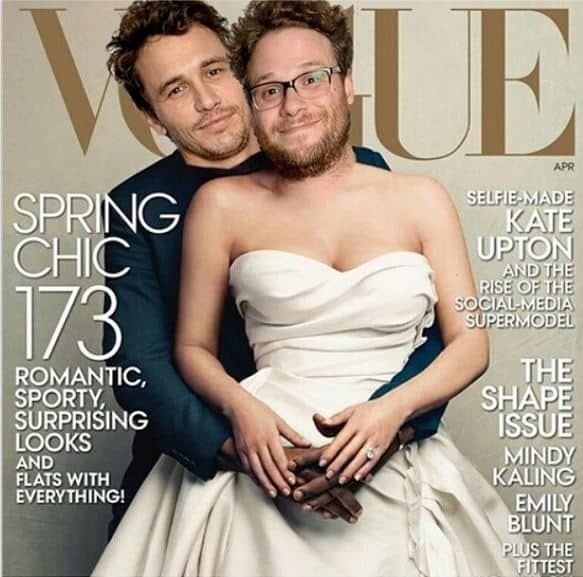 James Franco And Seth Rogen Spoof Kim and Kanye’s Vogue Cover! Obviuosly James Franco and Seth Rogen had to poke fun at Kim Karadshian and Kanye West’s Vogue cover. Jame got a little creative with Photoshop and well the rest is history. JWoww Feels “Treated like a Criminal” at Airport! ‘Horrible Bosses’ Part 2 in the Works? Cheryl Cole Not Returning to UK ‘X Factor’! !